Spun Sugar Quilts: Fat Quarter Quickies Book Tour and Giveaway! 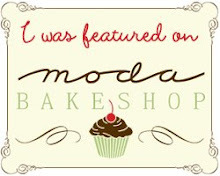 Hello to new visitors, and loyal blog followers! 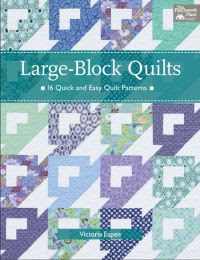 This book has 11 engaging quilt patterns for just about any occasion. There are table runners, lap quilts and baby sized quilts too..
Tuesday: Kathy for the Wrap! Well it was hard to choose. But this one won me over pretty quick. is my favorite pattern in the book. and it's pretty summer colors. and I think this just might be it! I have learned that my friend Kathy is VERY generous. She's so generous that she is going to give away 9 e-copies of her book on this blogger tour! Leave a comment about how you collect fat quarters. Do you collect by specific fabric line, color or print like dots or stripes? I will choose a winner on June 27th! Once in awhile, I'll buy a full line of fat quarters or a full colorway of a line, but otherwise I usually stick to half yards to be sure I have enough. If I have scraps left over I'm happy! I love to collect the whole line of a fabric. Fat Quarters allow you to do that. I would never be able to afford a yard each of all the fabrics in a line. FQ give you a sampling. Thanks for the giveaway! If I am crazy about an entire line I will buy the FQ bundle. My small quilting group gives out fq for birthdays and I am finishing up a hexi quilt using those. So fun! thanks for the chance to win this fabulous book! I've gotten a couple of fat quarter bundles, but usually buy yardage. I like FQ bundles, but I mostly buy FQ's that I like from a line and then add from my stash! I would love to win Kathy's book! I love to buy fat quarters, when I see them and love them I buy them. That is why I have a lot of fabric. I collect batik fat quarters. I buy a variety of colors when my local quilt shop has "fat quarter Friday" and they are only $1 each. I'm trying to build up my stash of brights. I just bought a bunch of Riley Blake fabrics that I love! Oh I love to get the entire collection in fat quarters, but I'll also but singles at the lqs if I see something I like. My daughters sew too, so letting them pick a few is a great way to buy them fabric. Thanks for the chance! I have bought a few fat quarter bundles but most of the time I buy a buy fat quarters here and there. I love love love scrap quilts so the more fat quarters I have the better. I love to buy bundles...there are so many great FQ patterns that need 10 or more FQs...however, I have pulled FQs from my stash to do these patterns. I love finding great bargains on FQs at quilt shows and LQS sales..so those purchases are individual FQS that catch my interest. Cha-Ching! Thnx for the chance! I collect fat quarters based on colours and pure whim and fancy. I have never bought a FQ bundle. I have picked up fqs now and again when on sale for 1-1.50 each. I've always loved to buy the huge, scrappy looking "wheels" of fat quarters. I usually try to buy fat quarters in one color. Sometimes I am a winner of fat quarters and then I try and buy fat quarters that will match those. I have acquired a lot of fat quarters and this book would sure help make a dent in these. You just want to make all of these projects. What an awesome book to have in your possession. Thank you for the chance to win. I follow your blog and will be back again to visit you. I've been collecting plaid fat quarters whenever I go to a quilt store. I am planning to make a plaid pineapple quilt someday. I also try to collect one FQ that I like from a quilt store too. Oh my... sometimes I buy a FQ bundle if I really like the line. I have managed to talk myself out of a couple of those. Sometimes I buy for the color to build up that part of the stash. Really there is no rhyme or reason. I just buy. I just buy fat quarters that I'm drawn to! No rhyme or reason! I'm totally a collector of certain fabric designers. I usually buy whatever new line is out from Minick and Simpson and Jo Morton. I also collect a lot of Blackbird Designs fabrics, and French General. I think Sail Away is an awesome pattern--I would do it in blue and white--classic! I like to collect within fabric lines. This ensures that colors will coordinate and saves me that step! I am the queen of fat quarters! They are like candy to me. I buy any of them that appeal to me - color, print, quirkiness - whatever. I would venture to say I own at least 1000 fat quarters and I could really use this book! Thanks for the chance to win. I usually collect by colour - occasionally when I can afford it I'll buy most of a line!! I have bought a few FQ bundles when I like the fabric line. For me I like having everything coordinated for me. I am a random collector - if it catches my eye, it comes home with me! I buy my fat quarters usually with a quilt in mind but on occasion just because the color & design will really catch my eye. HELLO! I USUALLY BUY ON A WHIM>SELECTING WHAT I LIKE MOST.SOMETIMES I MIX COLLECTIONS TOO. I usually buy Civil War fat quarters, and buy the color I'm low on. Sometimes I'll buy 5-6 moderns that go together for a particular project. I tend to buy the entire collection in a FQ bundle. Then I don't want to use them cause they are so pretty together! Thanks for sharing and the opportunity to enter. I love civil war fabrics, so if I like the whole line, I'll purchase fats quarters. Sometimes I buy fat quarters or eighths, willy nilly - tuck them away waiting for a pattern to grab my attention. Thanks for a chance to win. I have lots of floral fat quarters and quite a few batiks too but for most other types of fabrics I like to buy yardage. Fat Quarters are like crayons, to me. I can never have too big a box! I love to collect batik FQs when I travel to new stores because the are always different from the local shop I frequent. If a complete bundle of a new line that I just love (but have no plan for) is available, I have been known to go home with it and say to myself, "Fiddle-de-de.. I'll think about that tomorrow!" It's good to have variety in the stash. Hi! Thanks for the giveaway! I collect fat quarters, usually by collection, unless they are on sale for super cheap and I want to make a scrap quilt! I usually buy single ones, especially text prints and certain colors. Thanks for the chance to win a copy. Over the years I have collected Fat Quarters by what I want to work on at any given time. I did 30's for awhile and now have a quilt top from them. Then I collected black and whites for a row by row that I am doing with my quilt guild. Looks like a great book! I've collected a huge stash of batik fat quarters, and I've finally started using them. Thanks. I love batiks and can't afford to collect 2 yard cuts of each...but I can definitely purchase fat quarters! Also, I enjoy collecting stripes and polka dots and happy colors in fat quarters. They can always be used to create a happy quilt! I like to collect from a specific fabric line. If I like a line of fabrics and don't have a specific project in mind, I collect fat quarters from the line. 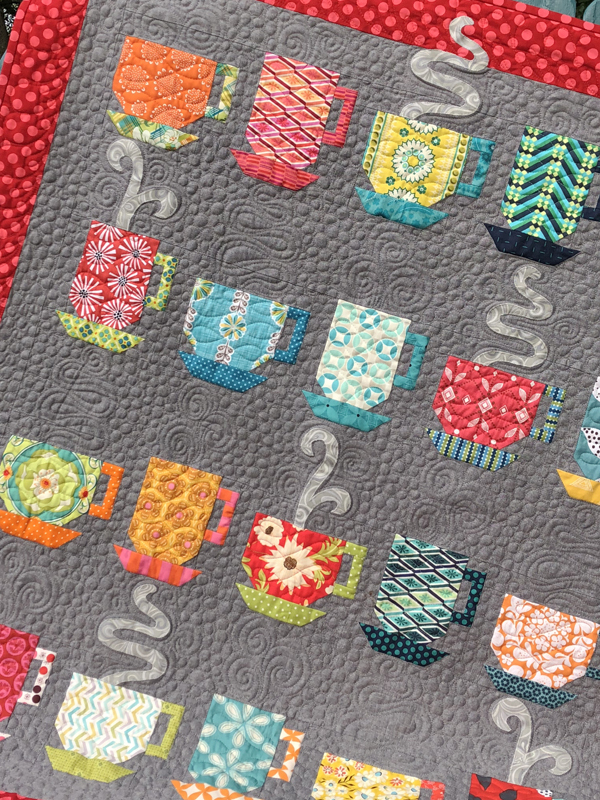 Generally, there's no rhyme or reason, but FQ are a great way to have a little of so many wonderful fabrics. A little bit of everything. I occasionally buy a full line when I see one I really like, and I`ll buy a certain colour that I feel I need more of in my stash, and then there are just the random ones, that are just too pretty not to buy a fq of. I buy fat quarters that appeal to me. I don't usually buy the bundles o fat quarters. Thanks for the chance to win! I buy fat quarters by the single or bundle. Most of the time there is no rhyme or reason to the ones I purchase. Once in a while I will purchase a specific group just so I know I have it on hand. Midwinter Reds is on my list to get the entire FQ bundle but yesterday I just bought three different ones just because I thought they were pretty. I usually collect fat quarters that I like. It may be a certain line, like Civil War or 30's or modern. But I pick out ones that are pleasing to my eye. I collect fat quarters by this method: if it's pretty and I want it, I buy it. Sometimes singly, sometimes as a bundle. I just pick up what I like. Some days it is reproduction civil war fabrics and others it is batiks. I never have a plan when I buy fat quarters. We have a local quilt shop that quite often has fat quarter sales....the more you buy the cheaper they are.....so I stock up on whatever catches my eye!! Thanks for the chance to win! I buy one or two every chance I get at any fabric store. AND I cut left over yardage into fat quarters, too. I collect fat quarters by purchasing bundles! In going thru my fabrics lately,it dawned on me that I have MANY more fat quarters than regular yardage! Lately I have been infatuated with dots,any size, any color.. I have some that are clearly dotted and some that you have to look closely for the dots because they are incorporated into the whole design. Some day I'm going to make a quilt (or several) from the dotted fat quarters! I usually go for color. Thanks for the giveaway! I collect fat quarters like my boys used to collect hot wheels! Anything I see is game. Sometimes it is a whole line, other times I flip through the single fat quarters until something grabs my attention. Fabric is fabric is fabric and it all makes me feel good. I sometimes buy bundles, but do find them hard to cut into! Often I'll buy individual FQs just because I need variety in a certain color or because I see something really cute I want to include in a scrap quilt. Sail away seems to be pretty popular! It is definitely one sweet quilt. I think the brown-eyed girl is awesome too. Love the quilting on that one. What a great quilt that would make for a brown-eyed child - no matter what age. I just plain love FABRIc in all sizes. But the fat quarter is by far one of the more usable and it sure goes a long way!!! I like to collect whole lines if I can buy. I also collect to have on hand some fabrics I consider never out of style like some quilts they just are always in style! so I guess bundles is best for me Thanks for a chance to win some great patterns!! I collect by fabric 'love' ...if I love it, I must have it! then I stash it and pop it out to stroke it every now and then!!!! Perhaps I should REALLY make something with them???? thanks for the chance to 'destash' my stash! I collect fat quarters by type - like batiks, by colors I love and by designer. Hi! My first quilt was a Turing Twenty made out of batik fat quarters! I have been collecting red fq's for a king-size red and white quilt w/embroidery that I going to do one of these days and I love 1930's fq's, too! 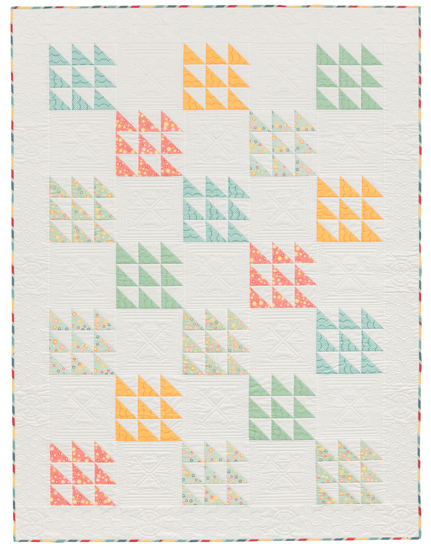 The Sail Away pattern is my favorite, too and the ruler sounds like fun! Thank you for the chance to win! I collect FQ's in many ways. 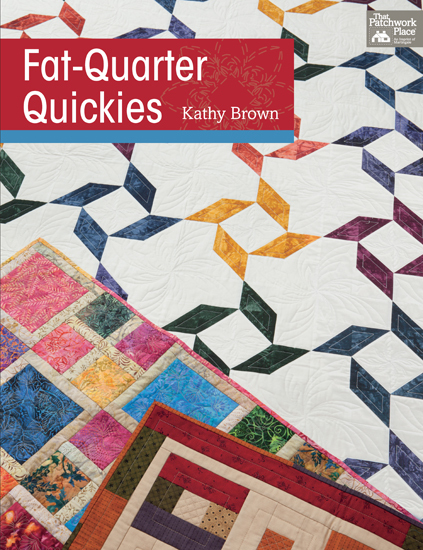 If I like the line, but don't have a quilt in mind, I buy FQ's. Also like to buy 30's in FQ's because most of those projects are scrappy. Someday I want to make a dotty quilt, so buy those in FQ's too. I collect fabrics that have appeal that I want a little bit of but can't afford to buy lots of yardage. I also collect neutrals and Kaffe fassett fabrics so that I can lots of variety of his designs. Thanks for participating in the hop and for the chance to win one of her lovely books. I particularly like the Caribbean Cooler pattern. I'm new to FQ collecting... Usually added to stash in 1 yard cuts... But did buy several FQ whole collections that I still have not been able to make myself open up!! They are SO lovely, all stacked up and ribbon tied!!! I collect fat quarters based totally on emotion. Whatever I am feeling that day influences the picks. It actually works out very well, for having a nice diversity of fabrics. I don't have a rational reason why I buy fat quarters, I just buy them when they strike my fancy! I like to buy 6 to 12 at a time that coordinate. I have a large collection-need to start some projects! Hi Vickie, I used to collect coordinating fat quarters with a project in mind, but these days without time to sew and more disposable income I tend to buy whole lines of fat quarters and wait for time and inspiration to sew. Really this means I collect, pat and hoard them! I buy then when they're on sale 7 just buy whatever strikes my fancy! I also like Sail Away. There is no rhyme or reason to my selection; sometimes it's a FQ bundle if I like the line a lot; sometimes it's a few from a line and other times I'll just buy one I like a lot! Thanks for sponsoring the great giveaway. I usually collect a set but if I see one I like I will buy it. I usually buy individual fat quarters. But I do love the bundles and they tend to come home with me also. Hello... My name is Sharon and I am a Fat Qtr Hoarder. I could really use this book! I enjoy buying fat quarter bundles because I don't have to worry about color coordination. I occasionally by single fat quarters "just because I like it"
Just whatever catches my eye that day. I love buying FQs! I have a big stash of 1930s reproduction FQs, and if I don't have a specific use for a fabric, I buy a FQ. Thank you for the giveaway! I seem to collect a lot of French General fabrics. I love the La Belle Fleur line. It would be perfect for "Cutoffs" from this book. Before the last few months, I just grab a far quarter or two when they're on sale, or I love the color or print, and sometimes when I have a specific scrappy paper-piecing project I'm working in, and cut strips for that. Since entering the blogging universe, I've discovered designers and fabric collections, and have several I'm obsessed with now. It helped to have a specific pattern in mind with cutting plans, so now I'm getting the hang if how to cut those beautiful quarters to get the most out of them. Having coordinated collections is fun and easier to plan quilts! I buy a few fat quarters if I'm stitching a scrap quilt and need to fill in colors and designs. I'm really trying to use up my stash! A new fabric store opened up by me that sells small pieces of fabric, such as FQ, for really cheap and I've been picking up those. Thanks for the chance to win! This book looks so good! 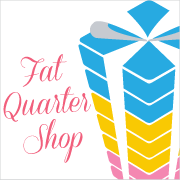 I am a fat quarter addict...bright colors, geometrics, Civil War prints, you name it, I like them. I say that I paint with fabric instead of brushes and canvas. I definitely need to get this book and sew, sew, sew. I look for true gingham and then I look at anything that catches my eye. I arrange by color in my stash. I generally choose fat quarters for the colors I'm looking for in a project. I usually choose by collection line. I collect fat quarters in fits and starts. Depending on the mood I'm in and if I'm shopping for something in particular. Shop Hops are a notorious way for me to get fat quarters. I started out as a "whim" buyer to build a varied stash. Then I moved on to a "purpose" buyer when I was making LGD purses. Now I'm loving the "curated" sets available, so that makes me a "whim with purpose" buyer! Sometimes if I just love a whole line I buy the bundle, if I'm in a town that has a quilt shop, I will buy randome fat quarters that I like. Sometimes I order grab bags and they will have various fat quarters! I like bright, bold colors and prints. Thanks for the chance to win! i don't think I've ever really "bought" a fat quarter. i own about 100...all won on blogs! So i collect whatever is being given away! I do like to buy a fat quarter bundle but I have been adding in some solids to break things up a bit. I try to catch myself from buying too much blue, esp if it is aqua blue. I love polka dots too, thanks for the suggestion. I may use polka dots for blenders now! I just buy what catches my eye...or I used to, I need to use up my stash right now, so no new things unless for a specific project! Well for years I only collected fat quarters by the bundle. But I am learning to branch out and buy fatquarters that I love. Or if I want to make an orange quilt I will pick up orange fat quarters when I am out shopping. Eventually I will have enough! I really do not collect FQ. I buy used shirts in Salvation Army and use it in ordinary way. I prefer bright colours. I don't usually buy whole lines in fqs, too expensive for me, so for those I buy charm packs or layer cakes. I totally loved Cuzco, so I also bought quite a lot of them as fqs once I had the layer cake. I have a lot of fqs in bright colours, I don't tend to go for particular patterns, but I do seem to prefer brights, particularly orange, yellow and pinks. Usually, if I'm needing a fabric fix, and I see something that speaks to me, I'll pick up a fat-quarter. I have a big clear jar on top of a cabinet in my sewing room that I store them in. Would love to win the book and thank you for the chance. I buy FQ if a fabric catches my eye and it isn't available in a larger cut. Otherwise, I generally go for a 1/2 yard so I have plenty to work with.